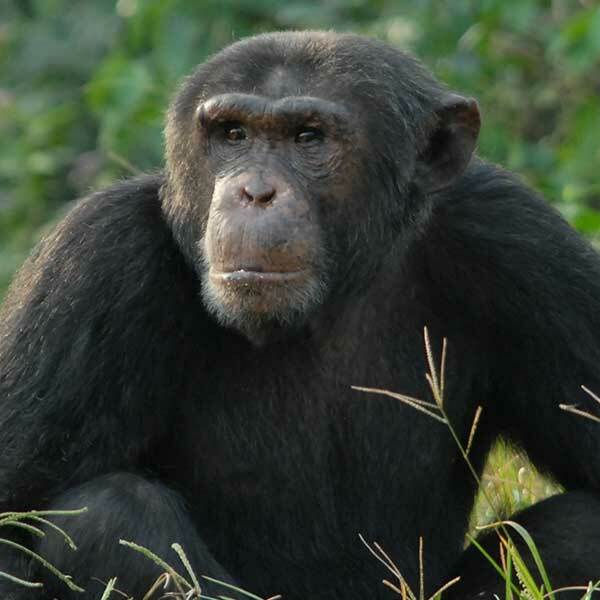 My name is Okech and I arrived at Ngamba in 2002. My name means ‘born in a time of drought’ in Luo, a language of northern Uganda. I am a mid-ranking male and like to spend my time teasing the females or hanging back after feedings looking for leftovers. I am pretty clever and can use sticks to scoop in scraps of food that fell inbetween the fence line.